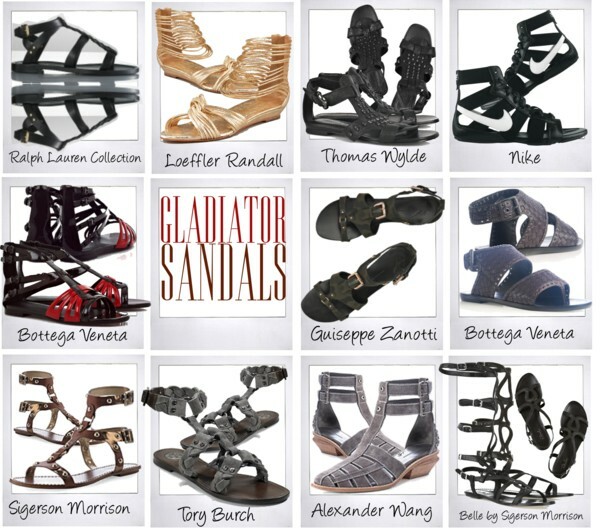 The hype started already in 2008 but this spring the Gladiator Sandals are still very up-to-date. It might be the combination of looking totally stylish and being very comfy during the day that makes them so loved. As the name already implies, these shoes were favoured by Ancient Greeks and Romans. Roll up your jeans and show your beautiful sandals or pair them with hot pants (wow effect!). My favourites are the knee-high ones by Belle by Sigerson Morrison available at www.net-a-porter.com. The next days, I will tell you all about the most stunning shoes and accessories trends for the upcoming spring/summer season. Hope that you will enjoy it and get inspired.